Did You Win A DVD Of Gallic Thriller DISORDER? Alice Winocour's tense thriller Disorder comes to UK DVD July 25th, and we've got two copies to give away to UK readers. Following a tour of duty, Special Services soldier Vincent (Matthias Schoenaerts) takes a job in security for a wealthy Lebanese businessman and his family. During a lavish party one night, at their luxurious ‘Maryland’ villa, Vincent senses that something is amiss. When his employer is then urgently called away on business Vincent is left to ensure the safety of his wife Jessie (Diane Kruger) and their child. Suffering from post-traumatic stress, Vincent battles his own paranoia whilst clinging to the certainty that Jessie and her family are in immediate danger, unleashing a hell-bent determination to protect them at all costs. 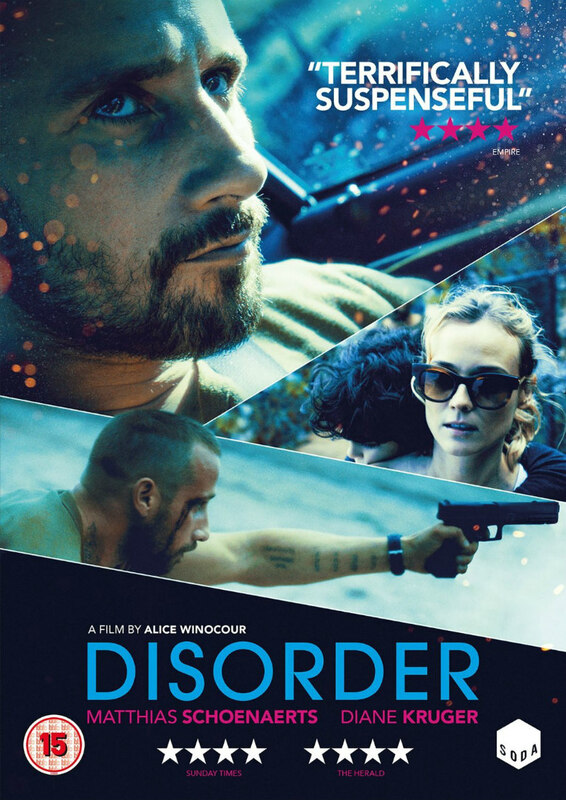 From French director Alice Winocour (Augustine), Disorder is a masterful thriller full of suspense that takes audiences on a cinematic and atmospheric ride through the mind of its flawed but heroic main character. Following stand out performances in Bullhead and Rust and Bone, Schoenaerts yet again delivers a powerhouse lead performance proving he’s an actor at the top of his game.